Metropole caters to the interests and needs of English-speaking expat communities. Here are our curated recommendations for what you won’t want to miss in Vienna this Week (February 20 – February 27, 2018). Local and international artists gather to celebrate the squeezebox, with the festival now on its 19th turn. Oscar Wilde's classic comic play features two bachelors who each develop elaborate alter egos to woo a lady. Oscar Wilde’s classic comic play features two bachelors who each develop elaborate alter egos to woo a lady. The music legend is throwing an audio-visual block party for the history of Hip-Hop. Krzysztof Kieślowski's noted TV drama is adapted to the stage, exploring morality in a world where god is dead and ideologies are non-existent or at least minimal. Krzysztof Kieślowski’s noted TV drama is adapted to the stage, exploring morality in a world where god is dead and ideologies are non-existent or at least minimal. Playing a unique mix of Americana and flamenco, the Chicago-born singer weaves an entertaining set with her band. Join her as she plays songs from her latest record “La Huerta” meaning ‘The Garden’. Irish comedian Donal Vaughan was runner-up in 2014’s ‘Show Me the Funny’ competition, and a finalist in the 2013 Leicester Square Theatre New Comedian of the Year. Support comes from local comedian Tamas Vamos among others. Indie in-die truest sense of the word, local band Charlywood release their self-titled, self-produced record at Kramladen this weekend. The retro virtuoso uses his classic sound to express everyday blues. Screened at the Viennale last November, the award-winning film from Pan’s Labyrinth creator Guillermo del Toro strikes the intersection of mainstream appeal and peculiarity. Set in Cold-War era America, it’s an offbeat, genre-bending romantic tale that comes off as earnest and intriguing despite its unusual premise. The Marvel comic franchise releases one of its most anticipated movie adaptations to date, with an all-star cast including Donald Glover, Forest Whitaker, Andy Serkis and Chadwick Boseman as Black Panther. The new arts venue Reaktor held the Austrian premiere of this stunning new film from director Bernhard Kammel. Set in Vienna but scripted in English, the story follows a man lying in a vegetive state at the ‘Hernals Hospital of Eternal Life’, reliving in his dreams the events that led to his hospitalisation. Steven Spielberg teams up with Meryl Streep and Tom Hanks for this dramatization of The Washington Post’s discovery of the Pentagon Papers, and their battle to release them to the public. The classic 90s goofball comedy about two rock n roll fans and their public service TV show comes back to the screen for one night. "Party on, Wayne!" A rare and fascinating look behind the scenes as some of the world's best film composers talk about the art of movie scoring. A rare and fascinating look behind the scenes as some of the world’s best film composers talk about the art of movie scoring. Jesus Christ, Chairman Mao and the Autobahn are all portrayed through a mix of traditional handcrafting and computer-generated images. A leading proponent of the Belgian postwar avant-garde, Mees experimented with the proximity between the object and the viewer. This exhibition, entitled The Weather is Quiet, Cool and Soft, is the first dedicated exclusively to him Austria. One of the founding fiures of Viennese Actionism, Brus was shocking and revelatory through his art. The exhibit, Unrest After the Storm aims to provide a comprehensive insight. Featuring the work of three European artists, this exhibition studies ruins from a number of viewpoints. The collection, curated by Pia Jardi, investigates both the past and the new poignancies of these environments. Dubai-based artists Ramin Haerizadeh, Rokni Haerizadeh and Hesam Rahmanian present their collective mixed-media project From Sea to Dawn. Using Western news footage to discuss the established views and portrayal of migrants’ journeys across Europe, they rework the material with a distinctly Eastern visual language using paint, drawing, text, poetry, photographs, and found objects. A great way to discover new dining favorites and avoid home cooking, with participating eateries offering discounts all over town. “Let the day fade away in a pleasant atmosphere! Experience international, contemporary music and fine cocktails in the Marriott Hotel Cascade Bar with Vienna’s first indoor cascade. Don’t miss the Happy Hour between 17:00 and 19:00 with a special offer for a finger food buffet and special priced cocktails. Fashion Week is full force this month in New York, Milan, Paris, and London. Why not in Vienna? Dance the night away with senoritas who can sway. Live music comes from The Coquette Jazz Band. Fancy dress is strongly encouraged. Ring in the Year of the Dog in style with Vienna's Taiwanese community! Ring in the Year of the Dog in style with Vienna’s Taiwanese community! Test your wits and wet your whistle! Beaver Brewing Company can help with both. 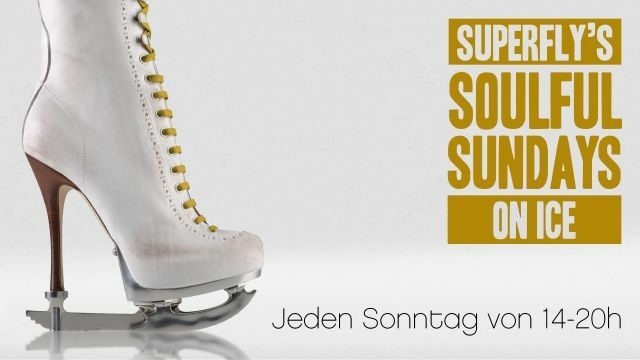 Get your groove on for some open-air ice-skating to the sounds of Superfly FM.